The third episode is a reality check for Opolo. Apolo is a winter Olympic eight time short-track speedskater gold medalist. 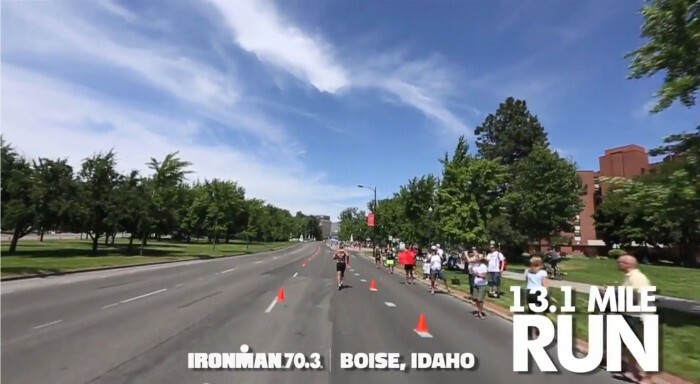 After watching the Got Chocolate Milk video you will understand better how it was his first golden opportunity to learn the true dedication to the sport it takes to be a long-distance endurance athlete. Jen is right there to inspire him while she continues swimming, running and and biking to get ready to finish her first triathlon. 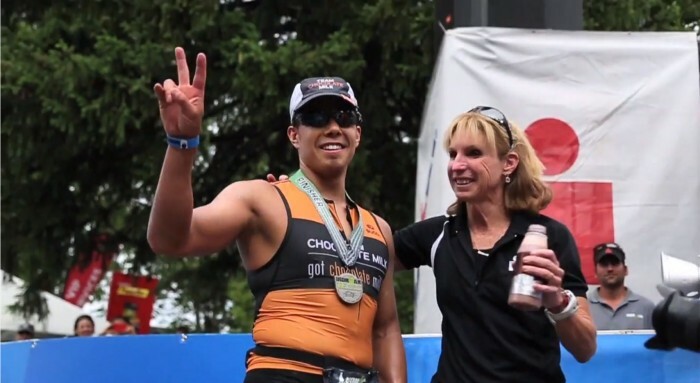 Team CHOCOLATE MILK coaches eight-time IRONMAN World Champion Paula Newby-Fraser and three-time IRONMAN World Champion Craig Alexander, both emphasize to the rookie Tri racers that their main focus are to earn valuable race experiences while continuing to improve, which they will thanks to finishing, racing data and expert pointers. Ice-cold lowfat chocolate milkawiats Apolo at the finish line. 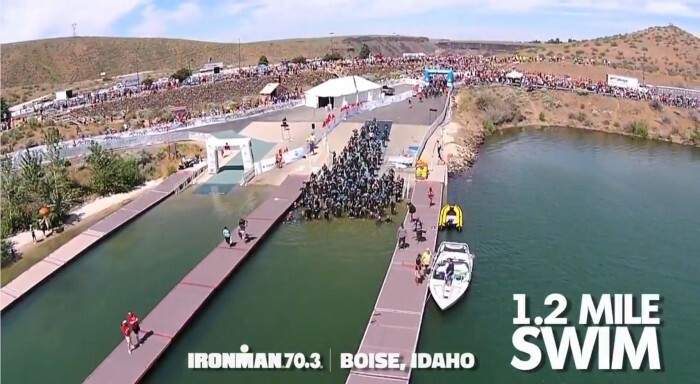 From the get-go, it is apparent that Apolo has no clue about what to expect when the starters gun goes off for all the racers to begin the 1.2 mile swim portion. His lack of experience at the transition area costs him critical time. Pace is key in all sports and Ohno fails to set a good one for the 56 mile bicycle leg leaving him with little energy leftover for the run. Fortunately, his Olympics instincts and top training techniques take over for the 13.1 mile running portion and he finishes to the delight of the Idahoan spectators and fans, who took plenty of smartphone and tablet pictures during a beautiful day in nature. I was happy to see ice-cold lowfat chocolate milk at the finish line for the worthy finishers. 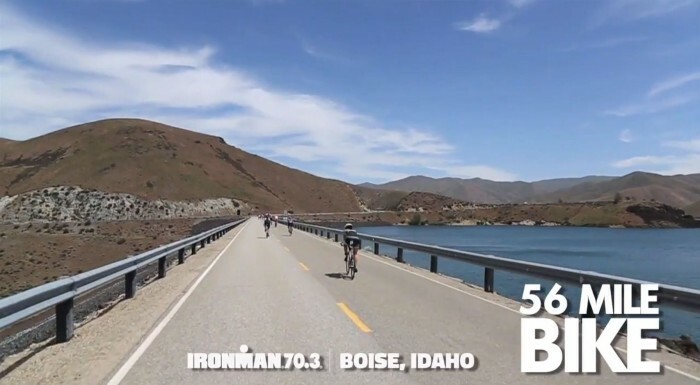 Sports Techie, Our blogs first followed Hines Ward and now Apolo Ohno on their missions to complete the IRONMAN and get in top shape along the way. Hydrating with some cold chocolate milk for the right kind of recovery is essential for triathlete champions, amateurs and beginners alike. My brother Rolando and his family lives 20 minutes outside of Boise. My nephew, Eston Roble, a soon to be a senior-in-high-school, has spent the summer in Bend, Oregon, with his Grandparents. He has been very busy working two summer jobs. One job is installing bike and boat racks while the the other is working as a barista up on MT Bachelor. In his spare time he is mastering kayaking, SUP and MT biking while up at altitude. The reason I share this info with our global community, both young and elderly, is because I want him and you to think about entering the same race that Mission Apolo did for next year and so will I. A #SportsTechie Q&A offer has been extended to Mission Apolo so keep returning to our blogging resource to find out more. I would love to learn more about the sports technology applications he is using for training, recovery and nutrition. Plus, the sports tech and components on his road bike looks impressive. Let us know below as a blog comment or at any of our social media network links if you have finished an IRONMAN, are going to attempt a race or will do it in the future. Way to go Mission Apolo, Seattle’s finest homegrown champion.